As of December 2017, Milligan’s School Counseling graduates have a 100% licensure rate and job placement rate (for those actively seeking employment in their field). 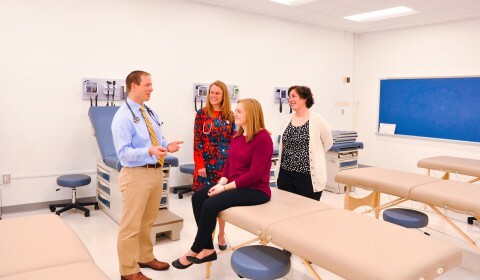 The Clinical Mental Health Counseling graduates have a 94% NCE pass rate and 90% of those desiring a job in the professional field of mental health counseling are employed. 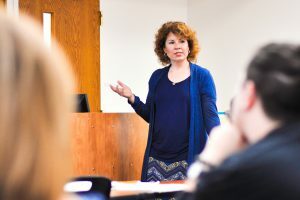 The MSC program at Milligan College will prepare graduates to demonstrate excellence as servant leaders in the field of professional counseling. Classes are scheduled in late afternoons and evenings. The program consists of six full semesters, including two summer sessions. You can complete the program in two years or go at your own pace. A new class of students enrolls each fall semester and follows a fall-spring-summer rotation, finishing after the second summer. Courses meet on the main campus of Milligan College in Northeast Tennessee, and some courses are available online. Our caring faculty are dedicated teachers, experienced professionals, and trusted mentors who invest time, energy, and ideas to inspire you and help you reach your highest potential. They are dedicated Christian professionals who go above and beyond to challenge you and stretch your mind. They bring real world experience into the classroom every day because they continue to work in the fields they teach. 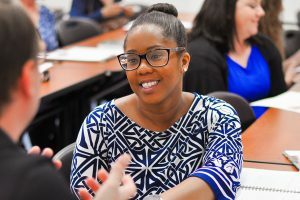 Small class sizes provide personal interaction, exceptional training, and hands-on lab experience that will prepare you for success as a Licensed Professional Counselor or school counselor. Teaching you is more than a job to our faculty — it’s a mission. This program will prepare you to use a combination of mental health and human development principles, methods, and techniques to help people achieve mental, emotional, social, and career development and adjustment. You will be able to work in a variety of settings, such as private, institutional, community, Christian, military, or nonprofit, providing counseling to individuals, couples, families, groups, and organizations. Counselors help people cope with emotional and mental problems stemming from marital and family issues, antisocial behavior, occupational stress, interpersonal relations, and bereavement. 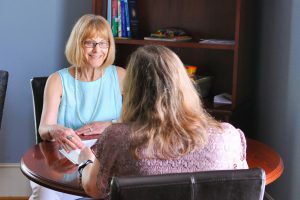 Professional counselors help clients identify goals and potential solutions to problems, improve communication and coping skills, strengthen self-esteem, and promote behavior change and optimal mental health. After completing the Master of Science in Counseling degree and completing a minimum of two years (at least 10 hours a week) of supervised professional experience, graduates are eligible to sit for licensure in Tennessee as a Licensed Professional Counselor. Reciprocity agreements may allow TN licensure to apply in other states. Students should check other state requirements before applying to the program. According to the Bureau of Labor Statistics, employment of mental health counselors is expected to grow by 24% between 2008 and 2018, much faster than the average for all occupations. Medial annual wages of mental health counselors in 2014 are $40,580. Industries employing the largest numbers of mental health counselors include local government, other health practitioners, outpatient care centers, individual and family services, and residential mental health and substance abuse facilities. The clinical mental health counseling program is a two-year, 60 credit hour curriculum that prepares graduates to pursue licensure as a Licensed Professional Counselor (LPC). The curriculum consists of 42 credit hours of required coursework in human behavior and development, evidence-based practice, effective counseling strategies, ethical practice, and other core knowledge areas; 9 credit hours of clinical experience (practicum and internships); and 9 elective hours from selected topics such as crisis intervention, substance abuse counseling, child and adolescent counseling, child sexual abuse, end of life issues, and physiological psychology and pscyhopharmacology. 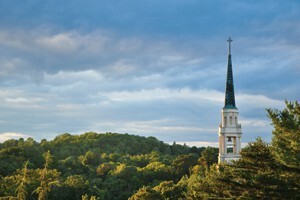 Because Milligan is a Christian college, part of the required coursework includes an ongoing discussion and examination of the theoretical and practical aspects of the integration of faith and learning. The program will prepare you to pursue licensure as a school counselor. The school counseling curriculum consists of 48 credit hours for licensed teachers or 54 credit hours for students without teaching licensure. Both the licensure and non-licensure tracks include supervised internships in elementary and secondary schools that provide direct experience. 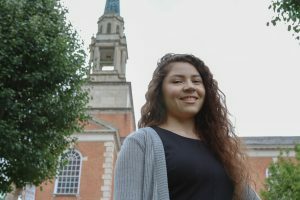 Because Milligan is a Christian college, part of the required coursework includes an ongoing discussion and examination of the theoretical and practical aspects of the integration of faith and learning. Employment of school and career counselors is expected to grow by 19 percent from 2010 to 2020, according to the Bureau of Labor Statistics. Rising student enrollments in elementary, middle and high schools are expected to increase demand for school counselors. As enrollments grow, schools will require more counselors to respond to the needs of their students. The School Counseling concentrations (Concentrations Two and Three) are either a two-year, 48 credit hour curriculum (for those students who are already licensed teachers) or a two-year 54 credit hour curriculum (for those students who are not licensed teachers). 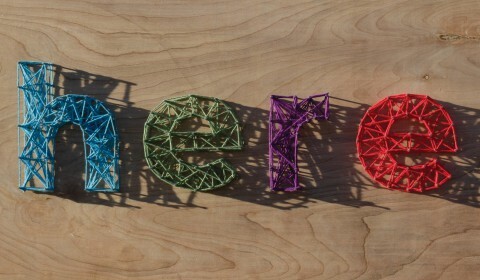 The curricula consist of 27 credit hours in core courses in human behavior and development, effective counseling strategies, ethical practice, and other core knowledge areas; 9 credit hours of clinical experience (practicum and internship); and 12 hours in courses involving counseling and assessment of children and adolescents and other issues specific to educational settings. Those students who are not licensed teachers complete 6 additional hours in curriculum methods and education of exceptional students. UNDERGRAD DEGREE: Completed baccalaureate degree from a regionally-accredited college with overall undergraduate grade point average of 3.0. APPLICATION: Completed application with personal statement. Apply online! TRANSCRIPTS: Official transcripts from every college attended whether or not the applicant graduated from that school must be mailed by your college(s) directly to Milligan. GRE: The Graduate Record Examination (GRE) is not required if an applicant’s overall undergraduate grade point average is 3.00 or higher. If not, request that your official GRE scores be sent to Milligan’s Office of Graduate & Professional Studies. 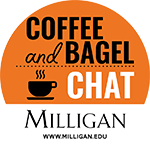 Milligan College’s GRE code is 1469. REFERENCES: Two professional or educational recommendations will be requested from within the online application. INTERVIEW: On-campus interview scheduled for qualified applicants. Please feel free to contact the Office of Graduate & Professional Studies to verify the receipt of the above application requirements. If you have any questions, please contact the college at 800.262.8337 or 423.461.8424 or by e-mail. International students whose native language is not English or do not hold a bachelor’s degree completed in residency in the U.S. must also provide proof of the Test of English as a Foreign Language (TOEFL) score of at least 79 or International English Language Testing System (IELTS) score of at least 6.5. 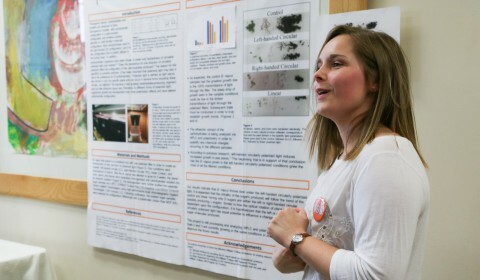 The Early Acceptance Program (EAP) provides Milligan College undergraduate students with a unique financial and academic opportunity to apply and commit early to the MSC in order to receive lower tuition rates and secure their spot early in the program. JUNIORS can take two MSC courses their senior year (one course each semester) in addition to their normal undergraduate course load. SENIORS can take one MSC course the spring of their senior year in addition to their normal undergraduate course load. *Approval to declare the Early Acceptance Program is not a guarantee of your admission to the Milligan MSC program. Milligan College’s Counselor Education Program is in the process of planning additional trainings for area professionals. If you have a suggestion or request for a training you would like to attend, please submit these to Dr. Rebecca Sapp.